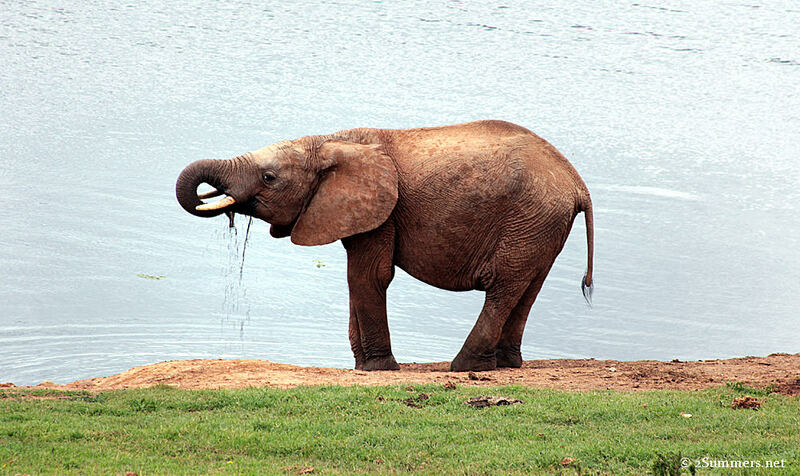 I visited Addo Elelphant National Park about a year-and-a-half ago as part of a blogger trip to Port Elizabeth. Addo is one of South Africa’s largest national parks and one of the best places in the world to view elephants in the wild. 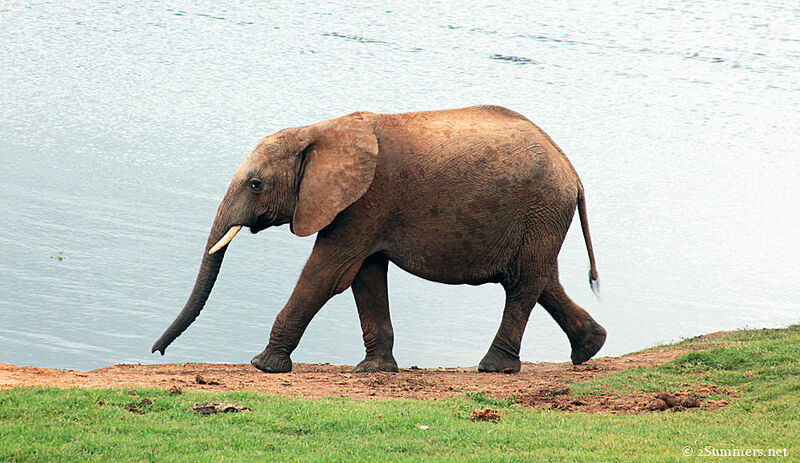 There are more than 600 elephants living in Addo, up from just 11 when the park was proclaimed in 1931. I only visited Addo for about half a day. It rained the day we went and our safari was cut short. I guess this is why I never got around to blogging about it — I figured I’d get back to Addo sometime soon, take more pictures, and write a full-length post. But alas, I haven’t made it back yet and my Addo elephant photos are languishing. So here are a few of my favorites. 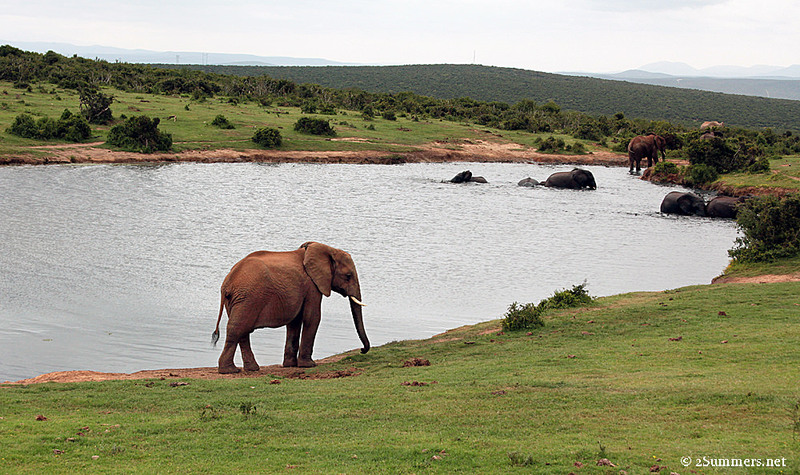 A small herd of elephants bathing in a dam (small lake) in Addo. This young elephant was cruising the shore close to our vehicle. Now stopping for a drink. End of sequence. Heavy rain moved in around this time and we had to return to the camp. 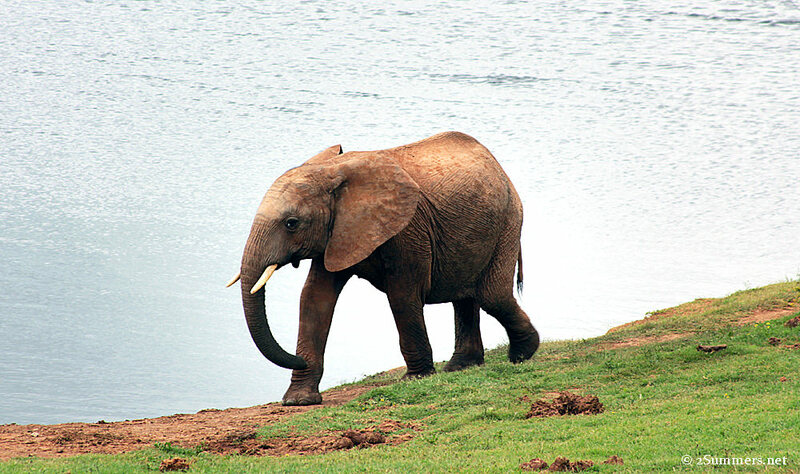 Addo Elephant National Park is less than an hour’s drive from Port Elizabeth and makes a great day trip from there. Addo protects all of the “Big 5” — elephants, lions, rhinos, leopards, and buffalo — as well as southern right whales and great white sharks along the coast, rounding out what is now called the “Big 7”. The park also offers hiking, marine eco tours, and horseback-riding. I did go horseback-riding there and loved it — perhaps a topic for a future pop-up travel post. Love Addo, it is a very special place. If you go back, try and stay at Addo Main Camp in one of the waterhole facing chalets for a couple days, they are really terrific. I really hope to go back soon.